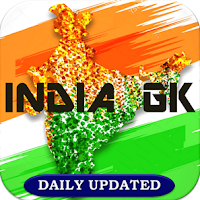 21 to 25 April 2019 Current Affairs MCQs, Quiz, Questions: Current Affairs for April 2019, Daily Multiple Choice Questions (MCQs) for India GK, World GK and current affairs with Collection of daily objective type Question by www.Indiagk.net based on General Knowledge (GK) and General Science (GS) Questions for UPSC, State PSC, SSC, Police exam, Railway exam, SBI, Bank PO, IBPC, SSC, LDC, UDC, Army, Airforce, Navy, Coast Guard, Bank Clerk, TET and all entrance examination with current affairs News, Multiple Choice Questions (MCQs) available on Website www.IndiaGK.net and Android Apps with daily updates:. When the Civil Services Day is celebrated every year in India? Explanation: Every year on 21 April, India observes Civil Services Day. On this day, civil servants re-dedicate themselves to work and live for the cause of citizens. It was on this day that Sardar Vallabh Bhai Patel addressed the first batch of civil servants in Independent India at Metcalf House where he referred to civil servants as the 'steel frame of India'. Manish Maheshwari is appointed MD of which company? Explanation: Twitter has appointed Manish Maheshwari as the Managing Director of its India operations. In 2018, Taranjeet Singh had stepped down as the India Country Director and Balaji Krish was given charge of leading the country’s operations in the interim period. Maheshwari has previously served as the CEO of Network18 Digital. Maheshwari will report to Twitter Vice President and Managing Director of Asia Pacific Maya Hari and will be based in Delhi. Who wins Santosh Trophy 2019? Explanation: The Services have lifted the Santosh Trophy, beating Punjab 1-nil in the final at Ludhiana. On their way to finals, Punjab had defeated Goa 2-1 and Services had defeated Karnataka 4-3 in the semis via a penalty shootout. The Santosh Trophy is a football knock-out competition contested by the regional state associations and government institutions under the All India Football Federation (AIFF) which the Football governing body in India. Santosh Trophy tournament is held every year with 31 teams divided into groups qualified for the tournament proper through the preliminary round. When Earth Day is observed? Telugu poet K Siva Reddy has been selected for the prestigious Saraswati Samman, 2018. He has been awarded for his work Pakkaki Ottigilite which is a collection of poetry. K Siva Reddy was born in 1943 in a farmer’s family in Andhra Pradesh’s Guntur. 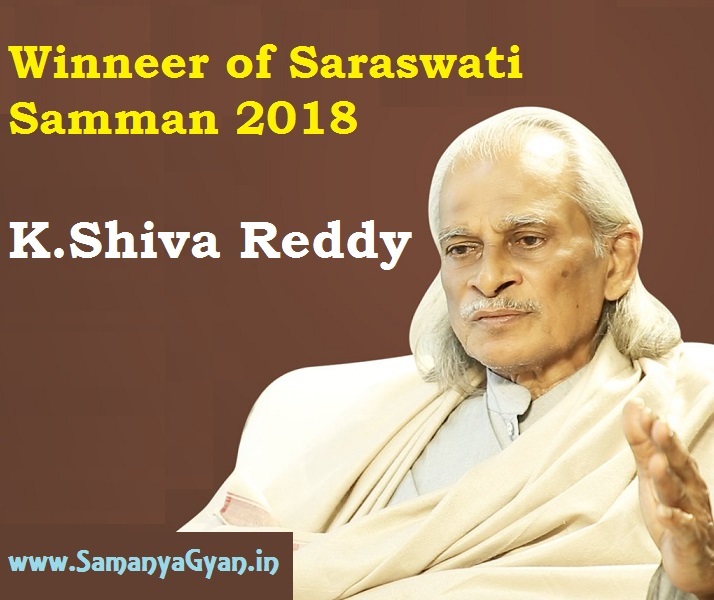 He is considered as the most renowned modern poets in Telugu. Siva Reddy has also published critical essays on poetry. Pakkaki Ottigilite was published in 2016. It is an anthology of 104 poems in blank verse. It captures the responses of the poet over the years to social change, the evolution of his own self and his dynamic relationship with the world. Saraswati Samman Award was instituted by the KK Birla Foundation in the year 1991. It is given annually for an outstanding literary work written in any official Indian language and published during the preceding 10 years. It carries a cash purse of Rs 15 lakh, apart from a citation and a plaque. Other popular literary awards constituted by the Birla Foundation are Vyas Samman (for Hindi) and Bihari Puraskar (for Hindi and Rajasthani writers of Rajasthan). President Ram Nath Kovind rescinds election to Vellore parliamentary constituency in Tamil Nadu. The Election Commission had sent a recommendation to that effect dated April 14, 2019. The decision to recommend cancellation came after a large sum of cash was allegedly seized from the DMK candidate's office a few days ago. The district police had filed a complaint against DMK candidate Kathir Anand as well as two party functionaries on the basis of a report from the Income Tax department on April 10. 11 to 15 April 2019 Current Affairs MCQs, Quiz, Questions: Current Affairs for April 2019, Daily Multiple Choice Questions (MCQs) for India GK, World GK and current affairs with Collection of daily objective type Question by www.Indiagk.net based on General Knowledge (GK) and General Science (GS) Questions for UPSC, State PSC, SSC, Police exam, Railway exam, SBI, Bank PO, IBPC, SSC, LDC, UDC, Army, Airforce, Navy, Coast Guard, Bank Clerk, TET and all entrance examination with current affairs News, Multiple Choice Questions (MCQs) available on Website www.IndiaGK.net and Android Apps with daily updates:. Which stock market overtakes Japan to be world’s third largest stock market? Explanation: Hong Kong’s equity market has overtaken Japan to be the world’s third largest in value, behind only the U.S. and mainland China. This is due to the rebound witnessed in Hong Kong stocks after their worst year since 2011. Hong Kong’s market cap was $5.78 trillion as of 9th April 2019 and Japan’s market cap was $5.76 trillion. Hong Kong’s Hang Seng Index climbed 17 per cent this year. The main driver behind the climb was Internet giant Tencent Holdings Ltd. which has witnessed a 22 per cent gain. Japan’s Topix Index advanced 8.3 per cent this year. Who is appointed as First Chief Justice of New Andhra Pradesh High Court? Explanation: Justice Vikram Nath, the senior most judge of Allahabad High Court, was appointed as the first Chief Justice of the newly-constituted Andhra Pradesh High Court. The Collegium of Supreme Court comprising of Chief Justice of India Ranjan Gogoi besides Judges S A Bobde and N V Ramana recommended the name of Justice Vikram Nath. Who is set to win a record fifth term in Israel Elections 2019? Explanation: Incumbent Israeli Prime Minister Benjamin Netanyahu is set to win a record fifth term in the country's most closely-fought general election in years after his main rival conceded defeat. With more than 99 percent of votes counted, Netanyahu's Likud party is set to lead a right-wing bloc with 65 of the 120 seats in parliament. Netanyahu's key rival, Blue and White Party’s Benny Gantz, accepted the result. Julian Assange, Wikileaks co-founder was arrested in which country? 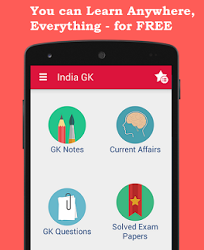 5 to 10 April 2019 Current Affairs MCQs, Quiz, Questions: Current Affairs for April 2019, Daily Multiple Choice Questions (MCQs) for India GK, World GK and current affairs with Collection of daily objective type Question by www.Indiagk.net based on General Knowledge (GK) and General Science (GS) Questions for UPSC, State PSC, SSC, Police exam, Railway exam, SBI, Bank PO, IBPC, SSC, LDC, UDC, Army, Airforce, Navy, Coast Guard, Bank Clerk, TET and all entrance examination with current affairs News, Multiple Choice Questions (MCQs) available on Website www.IndiaGK.net and Android Apps with daily updates:. Which city will host the Nepal-India Franchise Investment Expo and Conclave 2019? Explanation: The Nepal-India Franchise Investment Expo and Conclave will be held during May 15-16, 2019 in Kathmandu. The conclave will be organised by the Federation of Nepalese Chambers of Commerce & Industry (FNCCI) in association with Embassy of India and Franchise India. Lakshmi Vilas Bank is merging in which entity as was announced on 5 April 2019? B. Indiabulls Housing Finance Ltd. Explanation: Lakshmi Vilas Bank Ltd (LVB) on 5 April 2019 announced that its board has approved a merger with mortgage financier Indiabulls Housing Finance Ltd in an all-stock deal. The merged entity, to be called Indiabulls Lakshmi Vilas Bank, will be among the top eight private banks in India by size and profitability. LVB operated 569 branches and 1,046 ATMs across 19 states and one Union territory while Indiabulls is involved in providing home loans, loan against property to retail customer including MSMEs and businesses, lease-rental discounting and construction finance. Who becomes 1st Indian in FIFA Executive Council? Explanation: Praful Patel, president of All India Football Federation (AIFF), has become the first Indian to be elected as a member of FIFA Executive Council. Patel got 38 votes out of the total 46 votes, which only shows how highly he is regarded by the fellow Asian nations. Patel, who serves as a Senior Vice President at the Asian Football Confederation (AFC), was one of the eight candidates vying for the spot in the election, which was held during the 29th AFC Congress in Kuala Lampur in Malaysia. When the World Heath Day is observed every year? Explanation: The World Health Day was observed across the world on April 7, 2019. The day marked the 71st anniversary of the World Health Organisation. The Day is celebrated around a specific health theme every year to highlight a priority area of concern for the World Health Organization. Which Railway Station becomes 1st to get ISO Certification in India? 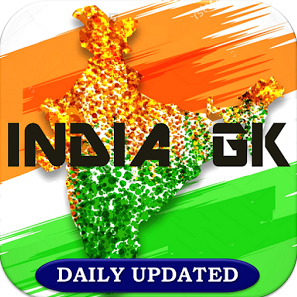 1, 2 April 2019 Current Affairs MCQs, Quiz, Questions: Current Affairs for April 2019, Daily Multiple Choice Questions (MCQs) for India GK, World GK and current affairs with Collection of daily objective type Question by www.Indiagk.net based on General Knowledge (GK) and General Science (GS) Questions for UPSC, State PSC, SSC, Police exam, Railway exam, SBI, Bank PO, IBPC, SSC, LDC, UDC, Army, Airforce, Navy, Coast Guard, Bank Clerk, TET and all entrance examination with current affairs News, Multiple Choice Questions (MCQs) available on Website www.IndiaGK.net and Android Apps with daily updates:. Which state celebrated its 84th foundation day on April 1, 2019? Explanation: Odisha celebrated its 84th foundation day on April 1, 2019. The day is also known as ‘Utkal Divas.’ Odisha was the first state to be formed on linguistic basis in 1936. Earlier, the state was a part of Bihar. Noted Tamil Director J. Mahendran was associated with which field? Explanation: Noted film director J. Mahendran, 79, passed away following a brief hospitalization. He was also seen as an actor in many films. He was also a part of the Blue Ocean Film and Television Academy (BOFTA) in Chennai. Mahendran has directed several memorable films including Mullum Malarum, Johnny and Nenjathai Killadhey. Who won the men’s singles title at the Yonex-Sunrise India Open badminton tournament? Explanation: Viktor Axelsen dashed Indian hopes with a 21-7, 22-20 win over Kidambi Srikanth at the India Open 2019 final, in New Delhi. In a rematch of the 2015 final, the Dane saved a couple of game points in the second game to get his second title after 2017 win. In women's singles, Thailand's Ratchanok Intanon created history by becoming the first women's singles shuttler to win the title three times, when she beat the third seed He Bingjiao 21-15, 21-14. With this, she also emulated the legendary Lee Chong Wei's record to become the second singles player to taste glory thrice at India's premier badminton event. Her earlier victories came in 2013 and 2016.
Who wins Bahrain Grand Prix 2019?